Former Tourism and Hospitality Industry Minister Walter Mzembi is critically ill with cancer of the colon and is in South Africa where he is undergoing chemotherapy, his lawyer has revealed. Mr Job Sikhaka told the Harare magistrates court yesterday that Mzembi could not attend the start of his trial for charges of theft of trust property involving $1,6 million because he was critically ill. The trial was moved to December 4. Mr Sikhala pleaded with the court to postpone the trial and issue Mzembi with an administrative warrant of arrest. 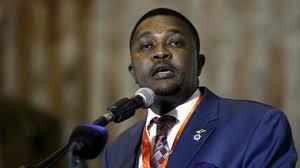 Mzembi was issued another warrant of arrest last week, in another case involving $184 336.